Looking to make money this weekend? Maybe you got an unexpected phone call from a friend with a great deal on a vacation destination. Or the transmission went out on your car and you don’t have the cash to get it fixed. Maybe you’re trying to get out of debt once and for all so that money is no longer a struggle. Or maybe you just have one of those weekends where nothing is planned so you thought you might as well use it to earn some extra cash. Whatever the reason, there are a few different ways you can take the upcoming weekend and make yourself some serious money. 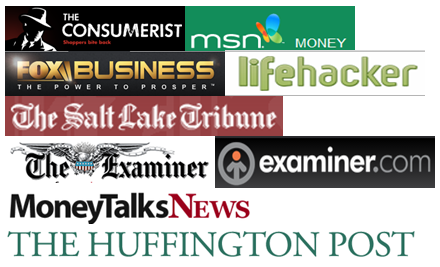 By using one of the side hustles listed below, it’s possible for you to make several hundred dollars or more this weekend. Which of these ideas can you use to make some cash in a couple of days? It’s a super easy and quick process to get approved to drive for rideshare companies such as Lyft or Uber. As long as you have a car that’s in good shape, auto insurance on the car and a clean driving record, you can drive for one of these companies. The cool thing about driving for a rideshare service is that once you’re an approved driver, you just sign in when you’re available and they start sending potential clients your way. You bring the people to their destinations and the rideshare service pays you. Bonus: many rideshare drivers get tips as well. And weekends are often big money makers for rideshare drivers. The Lyft website states that their weekend drivers often make $800 or more in a single weekend. Have you ever heard of Instacart? Instacart runs a business where they grocery shops for others and deliver those groceries to the client’s doorstep. Instacart hires people to shop and deliver to clients the items on the shopping list they submit, and then pays them for it. As with driving for rideshare companies, Instacart drivers sometimes earn tips as well, and their website says people who deliver on Sundays often make more money than those working during the week. Are you good at basic handyman work such as putting together furniture or doing light home maintenance tasks? If so, TaskRabbit or Thumbtack might be good companies for you to sign up with to make money this weekend. With Task Rabbit you sign up and fill out your profile, and then Task Rabbit shows you jobs available in your area and how much those jobs will pay. You complete a job, you get money. It’s that simple. And since you get to choose the jobs you want to do, you can decide how much money you’ll make this weekend. There’s a section near the jobs section on Craigslist called “gigs” that could provide some ways for you to make money this weekend. “Gigs” are usually short-term jobs that need to be done within a day or two, such as helping someone move or pack to move, completing a minor home repair job or helping a company set up for an upcoming event. Check out the “gigs” section on Craigslist and see if there are any jobs available that would work for you this weekend. I’m betting you have stuff laying around your house, garage or storage unit that you no longer want or use. If you want to make money this weekend, gather that stuff up, list it on Craigslist at a deal of a price and make yourself some cash. Selling your furniture that you don’t want can be a great way to get large amounts of cash quickly. List your stuff today and hopefully, it’ll be gone (with cash in your pocket) by the end of the weekend. 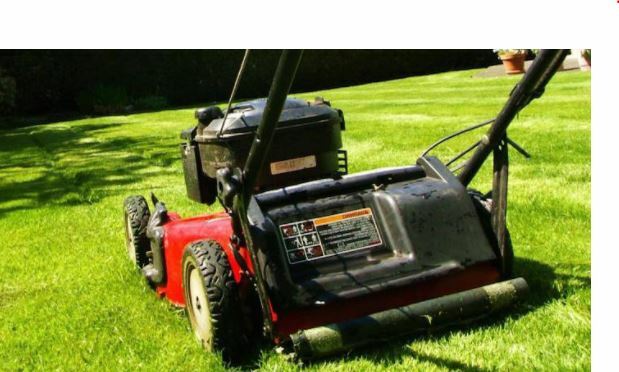 Weekends are often the time when people mow their lawns, rake leaves or do other types of lawn maintenance. You might be able to offer to take those tasks off of your neighbors’ hands and earn some money in the process. You can go door-to-door offering your lawn services or make flyers to deliver to neighborhood houses. Make sure your pricing is clear on the flyers so people can make an informed decision about hiring you. Mowing just a few lawns could make money this weekend. Check out a site called TaskRabbit or ThumbTack to find opportunities in your area. Washing cars is another one of those tasks that people seem to put off. By putting together a mobile car washing business, you can make some serious money this weekend. What you’ll need: a bucket, rags, a vacuum cleaner, and other cleaning supplies. What the client provides: a hose with water access, their car, and an electricity source if you are using a Shop Vac instead of a handheld battery operated vacuum (make sure to bring your own extension cord). Hand out flyers in your neighborhood for your mobile car washing service and see how many clients you can book this weekend. Nearly every household has that room or area that needs a serious cleaning but the owners just can’t seem to find time to get it done. You might be able to make some cash by offering to help them with the task – or completing it yourself. If you are good at organizing and cleaning you can help people get their garage, basement or other areas of their home organized and clean. Advertising via flyers or on Craigslist is probably your best bet for finding clients. If you like kids you could approach families you know who have kids about offering them a night out while you take care of their little ones. Busy parents often would like a break from kid care for a night out on the town but might be too exhausted to search out a responsible babysitter. Make their job easy for them by telling them you’re looking to earn some cash this weekend and ask them if they would like to hire a babysitter for a few hours. Many people have dogs, cats, and other pets in their home. Are there services you could offer that could help them care for their pets? Some ideas might be picking up dog droppings from the yard, walking their dogs or bathing their dogs. Or if the pet owner is looking to get away for the weekend you could offer to pet sit for them. People often pay good money for others to care for their beloved pets. As you can see, there’s no shortage of ideas for making money on a weekend. Which idea could you use to earn some extra cash quickly? About the Author: Deacon Hayes is the Founder of WellKeptWallet.com, a personal finance site that helps people make money, save money and pay off debt. He has been a contributor for the US News & World Report, Investopedia, Clark Howard and more. 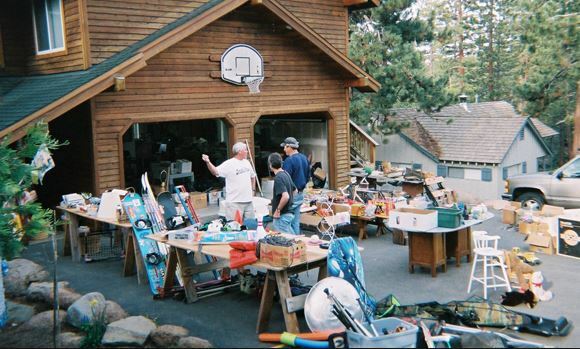 Selling stuff is one of our favorite weekend activities. It generates income and it helps us clean our house. Can we earn while travelling to another country too? What are the ways to earn royalty while on trip long. This is small and important list of work for earning daily earnings. Thanks for sharing this wonderful post. This is something really helpful for beginners, informative article. If you’re sociable and love interacting with strangers, then finding a side-gig as a Brand Ambassador is a great option.There are lots of companies that look for people to help them market and sell their products, many offering part-time options. I see companies even employing recent grads for selling and marketing gigs. You put on a show in a mall to promote a particular product. You write songs for your local car dealer and do a performance. Just pitch this idea to a dealership near you. They’d love to hear and at least give it a try. I invested $475 to get a NYC Taxi & Limousine (TLC) license to drive for Uber. Unlike the radio commercials, you have to have a TLC license to drive any livery type vehicle in NYC. The great thing is that it allowed you for hire for limo companies as well as rideshare companies. Made my initial investment back and then some.